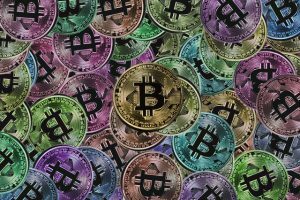 In this article we look at bitcoin and cryptocurrency and the (few) drawbacks that these new rising cryptocurrencies may have. Previously, it was mentioned how Cryptocurrency is one of a kind digital currency without likeness. Because not many payments nowadays are without the involvement of a third-party, lower risk payment, little to no fraud cases and most of all, universal in its usage. However, considering the online nature of Cryptocurrency, there are flaws that come with it. There are 4 major setbacks concerning Cryptocurrency. The first one is the lack of understanding of Cryptocurrency. In most cases, people are still unaware of the digital currency world and the potential it holds. This is similar to when the usage of credit card was first announced and the reception towards it is fairly similar to Cryptocurrency. Back then, people wouldn’t even think that paying things using a mere card is possible, what’s more using a whole new digital currency. Because it is different, and it doesn’t involve cash directly, people shy away from it and constantly doubting its effectiveness. Additionally, it involves online access to make it work. The idea of having to pay things or transfer money online is convenient to some but most are still skeptical about it. In order to make Cryptocurrency acceptable around us, the people need to be educated about it to be able to include it in their daily lives. One way to do it is through networking. But fact is, there are not many places online where people can learn about it. The effort to learn a whole new world of currency is requires a lot of time and energy. Most would think it is not worth their time because it is not commonly known anyway. Even though some businesses are accepting bitcoins, the list is significantly small compared to traditional currencies. This is probably due to the lack of knowledgeable staff that understands the ways of digital currencies. Plus, they need to help educate their customer about it and how to use it for a smooth transaction. This, again, will take a longer time and effort to teach others. Another drawback of Cryptocurrency would be its lack of protection and guarantee. In the case of traditional currency, there’s Central Bank who governs the authority on every nation’s money. No higher authority can suddenly decide that they no longer want to use their country’s currency to trade without protest and rejection. There are proceedings to follow, documents to file, approvals, and many other protocols to follow. However, that is not the case with our digital currency. There is no Central Bank who governs Bitcoin, which means no one can guarantee its minimum valuation. The value of Bitcoin for example, will fall tremendously should a major group of merchants decided to just ‘discard’ Bitcoins and leave the system. This will inevitably put other users who have invest thousands of dollars into Bitcoins into a major loss. There is no one to contact to file these losses, or rules to help compensate it. Thus, the decentralized system of Bitcoin is what we call a double-edged sword on its own. The next disadvantage is its technical shortcomings. When online banking made its way to our life, there’s always a risk of a sudden server failure, power shortage, and even hardware lags. If it happens and you ended up getting charge but didn’t receive the online movie tickets or flight tickets, you can always call bank service provider, or go to the physical bank instead and declares your case. Most of the cases if you show evidence of your payment you will get proper compensations or feedbacks. That is not how it works with Cryptocurrency. First of all, this currency does not have a bank to negotiate and help you around. There is no fixed number that you could call and ask for clarification. 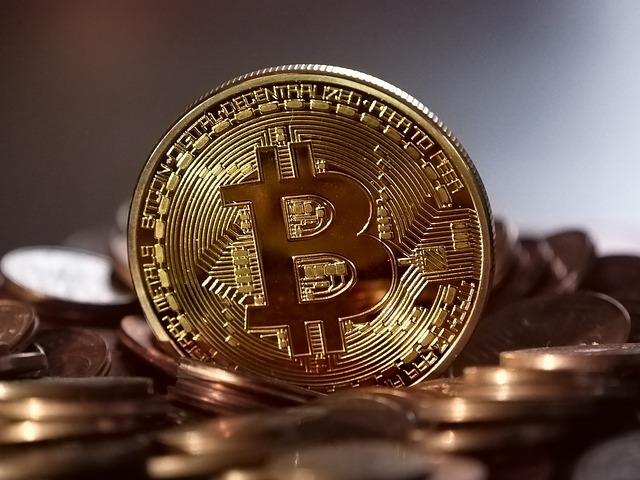 So, if you bought your goods using Bitcoins for example, and the merchant didn’t send the items you purchased, there is nothing you can do to reverse the transaction or refund. You can’t complain it to the police or any relating authority for that matter. Similar to data corruptions or virus infections, if you hard drive crashes and your wallet file is corrupted your Bitcoin is lost forever. There is nothing you can you do restore it and those ‘coins’ will be ‘orphaned’ in the system. The last major disadvantage of Cryptocurrency would be because it is still developing. When things are still developing, it is prone to many risks. There are so many incomplete features that can be improved but it takes longer time to finalize it, especially if it has no physical form. With traditional currency, despite the method of payments nowadays are done online, and without us actually seeing the physical money transferring from one account to another, in the end of the day, when you reach the ATM, you are capable of holding that cash. You can use it to buy stuff from the stores physically, and online. That shows how developed our traditional currency is. Since Cryptocurrency does not have any physical forms, its usage is obviously restricted. It must always be converted to traditional currency to enjoy its worth. According to studies, there was a time when there is a proposition to store Bitcoin wallet information in cards. However, there is neither consensus nor continuation of the proposal. Most probable reason would be because merchants find it unfeasible to support all the cryptocurrency cards. There is no system for an immediate payment using the cards, thus users are forced to convert it into real money anyway. As you can see, there are 4 disadvantages of Cryptocurrencies. There is a lack of understanding towards this digital currency. Plus, there’s minimum protection and guarantee when using is. Because it is mostly operating online, it is bound to experience all kinds of technical flaws and it is still developing. The world of cryptocurrency is relatively new to some people and it can be difficult to understand. Because nobody really knows what currencies will or can be adopted and at what scale. So, in the next chapter we will talk about what the future holds for Cryptocurrency.